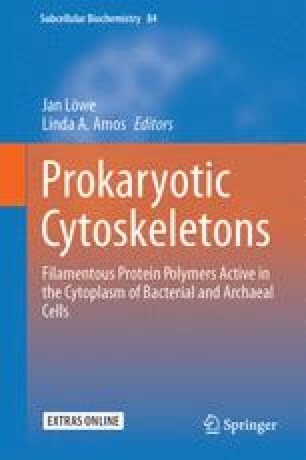 As discovered over the past 25 years, the cytoskeletons of bacteria and archaea are complex systems of proteins whose central components are dynamic cytomotive filaments. They perform roles in cell division, DNA partitioning, cell shape determination and the organisation of intracellular components. The protofilament structures and polymerisation activities of various actin-like, tubulin-like and ESCRT-like proteins of prokaryotes closely resemble their eukaryotic counterparts but show greater diversity. Their activities are modulated by a wide range of accessory proteins but these do not include homologues of the motor proteins that supplement filament dynamics to aid eukaryotic cell motility. Numerous other filamentous proteins, some related to eukaryotic IF-proteins/lamins and dynamins etc, seem to perform structural roles similar to those in eukaryotes.